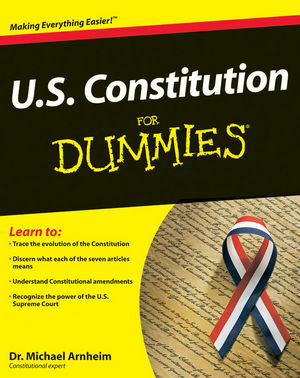 Want to make sense of the U.S. Constitution? This plain-English guide walks you through this revered document, explaining how the articles and amendments came to be and how they have guided legislators, judges, and presidents and sparked ongoing debates. You'll understand all the big issues — from separation of church and state to impeachment to civil rights — that continue to affect Americans' daily lives.